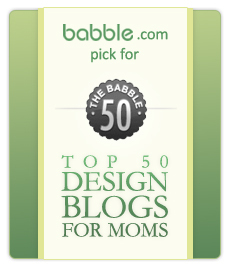 Babble names their top 50 design blogs for mums! I was absolutely over the moon today when I was contacted by a friend this morning to say Babyology had made it onto Babble’s List of the 50 best design blogs for mums. This list is worldwide and we can hardly believe it. Some of the other blogs on the list are my all time favourites and worth checking out when you have time. They are my inspiration and I am honoured to be included with such gorgeous blogs from all over the world. Not only are we in the top 50 blogs but we are #1 on the list (worldwide) for Toys and Gear, this is so exciting! 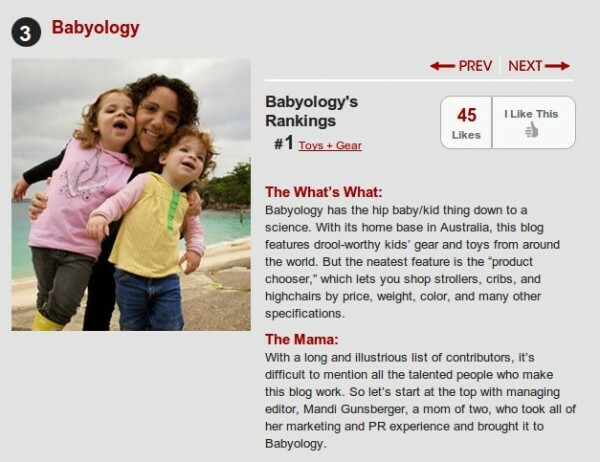 Thanks Babble and thanks to Elina Furman of Mamaista. I have been literally jumping up and down all day!